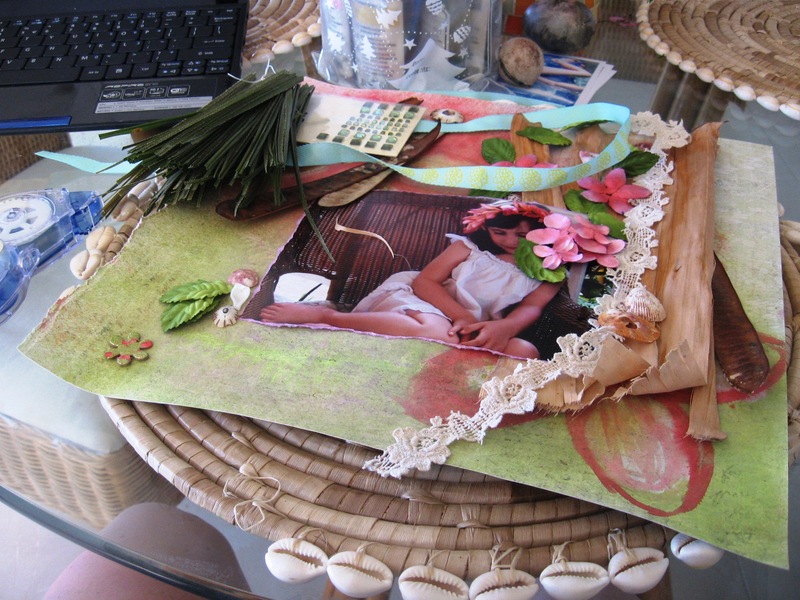 What could be better than carving out some crafty time on vacation!!?!?! I know it makes me feel like I have nothing but time when I can actually make a layout without having anything else calling to me. 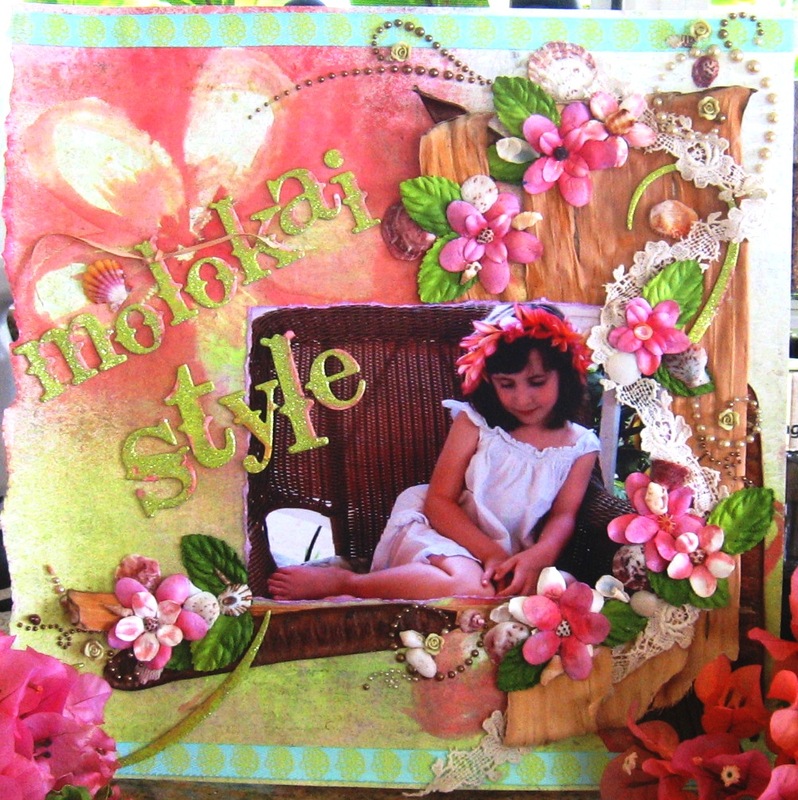 So here it is…Molokai Style. I used a picture from last year’s vacation here. 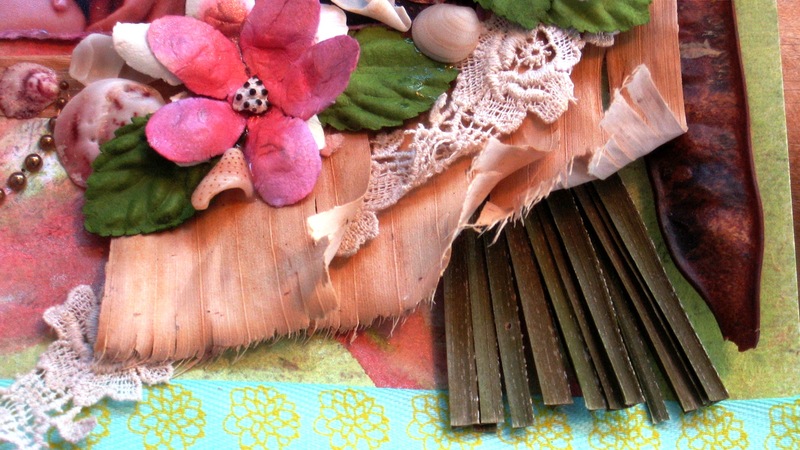 And wanted to show true Molokai Style, vibrant but kicked back, highlighting the beauty of the island with palm fronds, banana leaves, shells and seed pods. All the things I love to collect and look at. Add some Glimmer Mist, yummy lace and it is done. Gorgeous work, It flows and shows you were relaxed doing it.